Yes, when people are talking about high perks and hi-fi lifestyle, the Home Guard jawans are careworn for the survival for getting meager wages despite putting their life in danger at par with the other security agencies. A small amount of hike of Rs.4 in their daily wages given by the State Government is an eye-wash and cruel joke with the jawans. Home Guards were raised in the United Kingdom during World War-II as a voluntary citizen organisation for local defence. The voluntary force, first raised in India in December, 1946, to assist the police in controlling civil disturbance and communal riots. Subsequently, the concept of the voluntary citizens force was adopted by several States. In the wake of Chinese aggression in 1962, the Centre advised the State and Union Territories to merge their exiting voluntary organisation into one uniform voluntary force known as Home Guards. The total strength of Home Guards in the country is 5,73,793 against which the present raised strength is 4,86,401 HGs in 25 state and the Union territories except in Kerala where its duties are performed by other organizations. Eighteen Border Wing Home Guards (BWHG) Battalions – Punjab 6, Rajasthan and Gujarat 4 each and Assam, Meghalaya, Tripura and West Bengal one each - have been raised in the border States to serve as an auxiliary to Border Security Force for preventing infiltration on the international border/coastal areas, guarding of VA/VPs and lines of communication invulnerable areas at the time of external aggression. In a district, the Commandant is assisted with three Company Commandants (CC) one each in administration, store and training centre. The duty of the training centre incharge was to motivate the people to volunteer to join the Home Guards in those days when there was no unemployment. But with the passage of time, now there is a long queue of enrolled persons for joining even as guard in view of bleak avenues for employment opportunities because of the pass-out of qualified students. The Home Guard is equipped with and trained to use older weapons such as the .303 Lee–Enfield SMLE rifle, Sten and Bren guns which are manufactured indigenously by the Indian Ordnance Factories controlled by the Ordnance Factories Board, Ministry of Defence, Government of India. But the meager wages of Rs.450 per day with five percent increase every year with no other benefits like deduction of PF or pension, the plight of this class could be well imagined in the inflation on its peak. The administrative set up is like that except the post of Home Guards, all other posts are regular and pensionable. In fact, the guards are not recruited but enrolled which has no guarantee for security of service. However, they are called for duty and otherwise they remain in their homes. The cadre was created to help the police force but despite giving better services than the police, they are deprived of various service benefits. 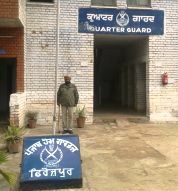 It is a matter of great concern that Home Guards perform their duties with dedication and devotion, at par with the Punjab Police employees, in any odd circumstances even like election duty or Pathankot terrorists attack but it is not understood as to why there is discrimination with them in wages. It had become difficult for the Home Guard jawans to survive in view of the ever increasing price rise. They failed to meet the expenses of their wards for education and family needs, which led to depression among them. It is irony that when the state government spends extravagantly on ministers, high officials, MLAs and the name of Sangat Darshan, but it has nothing to give to give to Home Guard jawans. Having left with no alternative, the guards moved to the Apex Court for regularization of their services in a Civil Appeal No.2760 of 2015 – Rakesh Kumr and others Vs State of Punjab and others. The Supreme Court upheld the decisions of High Courts of Delhi, Punjab and Haryana and Himachal Pradesh that the services of Home Guards in these three states cannot regularized. "They have never been paid salary/wages and there is no provision to make any payment of salary/wages other than the duty allowance and other allowances," a bench of justices SJ Mukhopadhaya and NV Ramana said. Dismissing the plea seeking regularization of services by various Home Guards and their associations, the bench said that the state laws, relating to employing Home Guards, do not provide for the regular employment in such cases. "In view of the discussion ..., no relief can be granted to the appellants either regularization of services or grant of regular appointments hence no interference is called for against the judgements passed by the Himachal Pradesh, Punjab and Delhi High Courts. "However, taking into consideration the fact that Home Guards are used during the emergency and for other purposes and at the time of their duty they are empowered with the power of police personnel we are of the view that the State Government should pay them the duty allowance at such rates, total of which 30 days (a month) comes to minimum of the pay to which the police personnel of State are entitled," it said. The bench asked the three state governments to pass appropriate orders on payment of allowance and asked them to treat Home Guards at par with regular police personnel. Home Guards Department honouring the orders of the court, revised the daily wages of Rs.446 to Rs.450 – a fractional increase of Rs.4 only during November 2015 which looks to be a cruel joke with the jawans barring all other facilities of leave, medical facility or allowance. Among the allowances, only Rs.80 per month is given as Washing Allowance. However, the department created its own welfare fund to honour the retiree with a gift and cash assistance of Rs.10,000 only. Recently, the policing, law and order, security and traffic control services were badly hit in Bihar when more than 50,000 Home Guard frustrated personnel went on an indefinite strike to press for their demands. Not only this, even having angry over on regularization of their services by the government, about 200 Home Guard jawans have sought permission to commit suicide from PM and Rajasthan Chief Minister as mark of protest against non-fulfilment of their long pending demand. 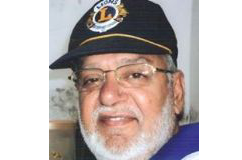 199 Home Guard jawans have also written letters with their blood to them. Frankly speaking, one of the Home Guard jawan who came in my contact was worried about his future and cursing the government for taking care of them. Normally the unemployed youths and aged persons are engaged who could serve at the residence of senior offices as security guards or for their personal work. Since the government already in fire over spending lavishly on erecting memorials, sangat darshans, huge fleet of politicians with infrastructure is not at all serious about the condition of its employees such expenses are acceptable only when these are surplus after taking care of various needy classes. The ‘minimum government, maximum governance’ flaunted principle has to be adopted. No doubt, technology is available but we are lacking in root-level study and planning. Merely launching ‘Startup India’ with promises of funds and tax incentives by the Prime Minister, would not suffice. The use of public money for freebies do build the politicians’ image which helps in winning elections but the system will have to be learned to make the feel happy everyone. The government is not paying any heed towards the demands of Home Guard since the inception of the cadre and turned a deaf ear towards their genuine demands. They are screaming for justice. It must think it over on humanitarian grounds and take steps to solve the problems of Home Guards to improve their living conditions, so that they too could enjoy the post-retirement period.